In Albert, Himself, Jeff W. Bens has written a fast-paced novel of unusual honesty and emotional complexity. This is a vivid and enthralling debut. On a humid evening on the streets of New Orleans, Albert Fitzmorris thinks he sees an angel– a woman in a pale dress with a shimmering halo of golden hair. Watching as she floats up the steps of a French Quarter hotel, Albert imagines a new life, free from loneliness and yearning. He envisions the path to his redemption. So begins Jeff W. Bens’s poignant novel Albert, Himself. Albert’s life is deceptively simple. He lives with his widowed mother. He plays poker every week with his deceased da’s aging cronies. He sells fish in a market in the Quarter. But Albert’s inner world is complex: convincing himself that he is protecting the people he loves, Albert lives by half-truths and deception. When Albert’s ex-girlfriend, Eileen –the mother of his nearly three-year-old daughter– moves on to a new boyfriend, his inner life is set in turmoil. Afraid he is being displaced in his daughter’s heart by another man, that his mother considers him a disappointment, that his dead father would see him as a failure, at thirty-five years old Albert plunges into doomed romantic fantasy. He pins his hopes for salvation on elusive, illusionary Chelsea, the blond woman –the angel– whom he tracks down and who, against all odds, just might help set him free. Set against the atmospheric backdrop of an Irish Catholic community in New Orleans –busy with street cars, weddings, and haute cuisine– the novel comes to a stirring conclusion as Albert’s worlds, real and imagined, collide. 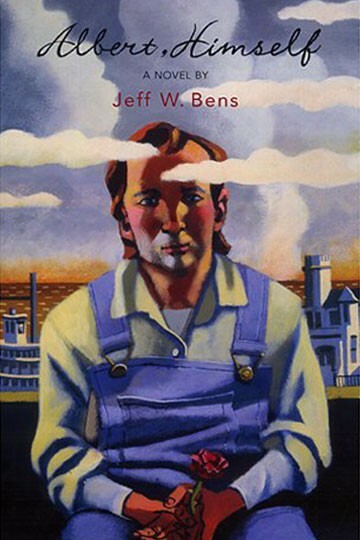 In this skillful, delightful novel, Jeff Bens captures one very particular man, his companions, and New Orleans itself in spare, beautifully balanced language, a perfect clarity of sound and sight that conveys the full complexity of Albert’s emotional life. Here he is, one modest, messy, alive, alert, infuriating and immensely touching human being: Albert, himself. Jeff W. Bens directed the award-winning documentary film “Fatman’s.” He was a founding faculty member of the School of Filmmaking at the University of North Carolina School of the Arts and has served on film festival juries around the world. He directs Manhattanville College’s undergraduate creative writing program and teaches both undergraduate and graduate workshops in creative writing. 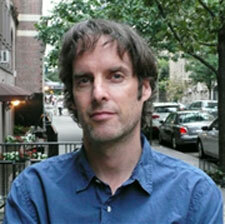 His short fiction and essays are published widely. Albert, Himself is his first novel.